There will not be peace in Colombia until the rich begin to pay taxes. Dr Uribe paid 0.40 %, The very rich in Colombia don’t pay anything. That’s the problem. June 23rd 2016, we should write this date down. Another date that maybe worth recording will be January 20, 2017, because on that date it is possible our worst nightmare will come alive. 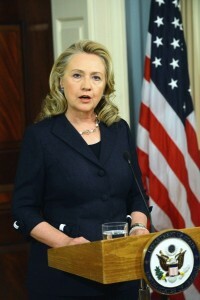 Sorry, I don’t mean to be so dramatic, but we’re talking about a possible Hillary Clinton presidency here. With that, why do I feel so insecure over such things, as President Santos of Columbia negotiating a well earned cease fire, or a very misunderstood English voter voting to exit the EU, I mean what on earth could disturb this kind of stuff from having their own political evolution? Three initials, HRC! In my imaginary worst case scenario, I see Hillary with a Middle East plan where everything is on the table. I see her plan as it unfolds out, to be so big, that no one, I mean no one in the American media, will even consider giving any air time to a newly ignited war sparking back up in a place such as Columbia. Places like Columbia will be so forgotten about, that only a Godzilla arising out of the waters off the shores of Cartagena might see the light of day somewhere within the American news media empire of it’s well censored audience. Us news junky’s will need to do our web searches most inquisitively to stay ahead of the obscurity which will surround these lessor than important stories, that our media could care less about. Hillary will have all the attention on her, as she conquers the world, and you and I will be able to watch this conquest on our TV’s in our comfortable homes. Just like it should be. Then again, let’s hope Hillary’s time in the White House will be spend worrying about what intern Bill had met that day. Maybe a Grandma Hillary will find a new joy, by amusing herself with her two new young grandchildren. Is it possible Putin could donate to the Clinton Foundation, and save us from WWIII? Seriously, is it likely that Hillary will take a disliking to Mrs Netanyahu, and the Palestintian’s are finally given their freedom? Maybe Bill will get ditzy in the head, and start talking out loud about what really happened to Vince Foster. So after all of that, I’m just going to write the date June 23rd 2016 down, and in about 18 to 25 months come back to this story, and hope for the best. Congratulations Columbia you deserve lots of peace, and may you enjoy it, and let us all hope that time is a long time in duration. You certainly earned it. while the “los urabenos,” a militant force which excises power outside of popular consent, funded by the narcotics trade are a “paramilitary drug-trafficking organization.” this “organization” uses violence to coerce a community to adopt a policy which would not have been considered were it not for the threat of violence. that SIR! IS THE VERY DEFINITION OF TERRORISM! the FARC on the other hand … use violence in conducting a war. the “los urabenos” are to Colombia and washington, as the wahabist forces of ISIS are to Syria and washington. Washington’s Real Aims in Colombia. 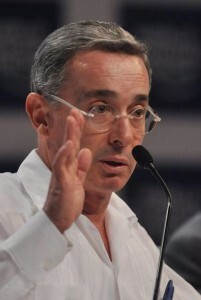 Good that Hillary was no longer in position to sabotage the peace accords with the FARC; same with her protege, Uribe. We can only hope it lasts. So FARC “lays down its arms” but the Satanist Contard Death Squads keep theirs??? The Cocaine-Cartel-Governnent Of Colombia cannot defeat FARC on the battlefield so it uses the peace table because the Death Squads are only effective against unarmed people. 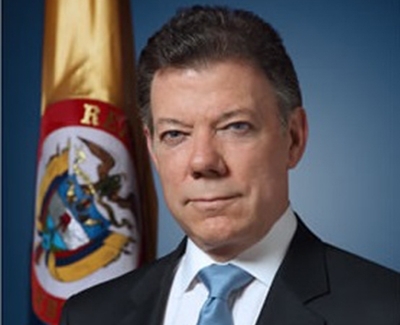 A phony peace as a prelude to a new terror war against the Colombian people. 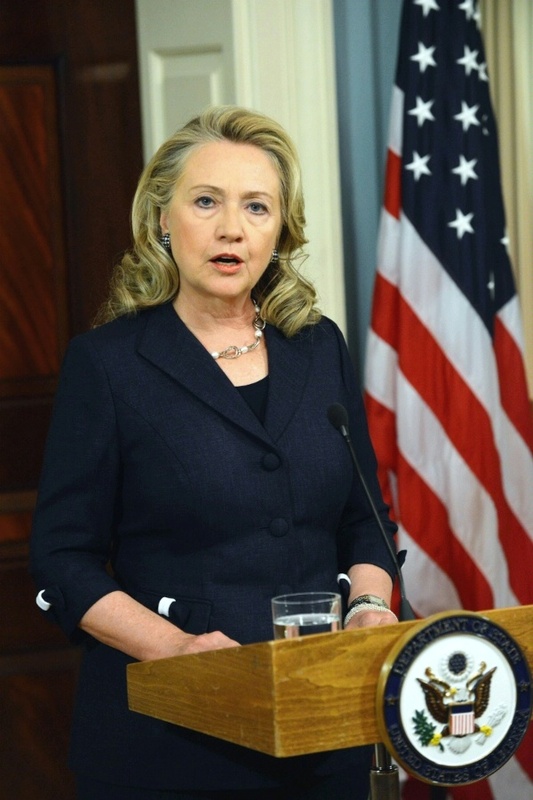 Hillary Clinton as an Ambassador of Peace is an oxymoron. Her power base is people like the NeoCon Kagan family (although they’re trying hard now to shed that label). See Robbie Martin’s excellent documentary called A Very Heavy Agenda. HRC will probably make Victoria Nuland of Ukraine infamy her secretary of state — if she’s elected President. The Kagan family and their pernicious, perverse and shameless bid to dominate US foreign policy is the subject of one of Robert Parry’s articles here. With these people at its head, the US is a force for world disintegration, for continued plunder and the murder of innocent peoples everywhere. The citizens of the US need to study the workings of the peace process in places like Columbia because we fool ourselves if we believe the wars are only over there. The spirit of who we are as a nation has made those wars possible and the chickens always come home to roost. Discrediting… If the US and its grasping stance toward the rest of the world is finally discredited, the peoples of the world will become free to create alternatives that benefit them — and not the United States–or not necessarily only the United States. Brexit suggests that people are finally beginning to wake up. The awakening will unleash harsh blowback upon the people whom the US fears, but once there is an opening, the floodgates will open. Are we at this threshold? One can hope. If Obama and the US are supporting the deal, there is some other motive besides peace. Santos will have his hands full if he allows the US to get involved in any way. Ditto. If the US is involved, peace is not the primary motivation. Exactly. And, no matter what Colombia’s right-wing president says, it is right-wingers like his government and the associated paramilitaries who tend to break ceasefire agreements, not groups like the FARC, viz, Israel’s constant bad faith re Palestine, where the Palestinians are always blamed for Israel not honoring agreements. Also, just like in Guatemala, as long as you have thousands of cops, soldiers, and exes of both who have been trained in repression, torture, and murder, they will continue to be a problem for years to come, maybe in the form of gangs, maybe employed as both public and private cops, maybe as the paramilitary death squads euphemistically called “autodefensas” by right-wingers.